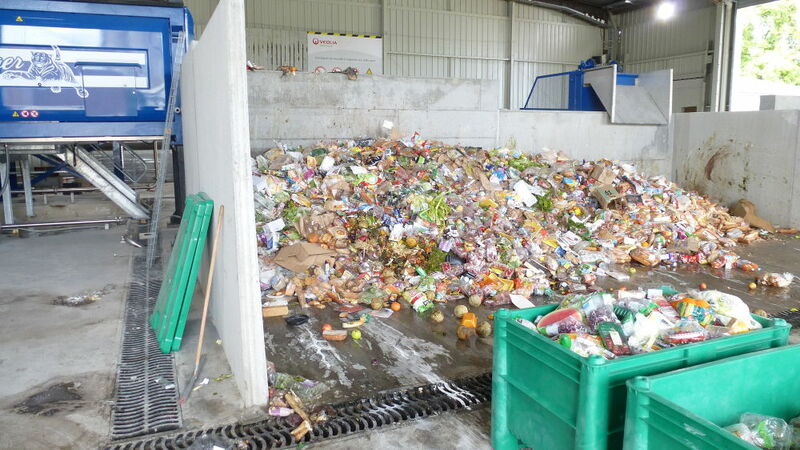 Veolia uses a TIGER food waste crusher to process waste from the Rungis international market. 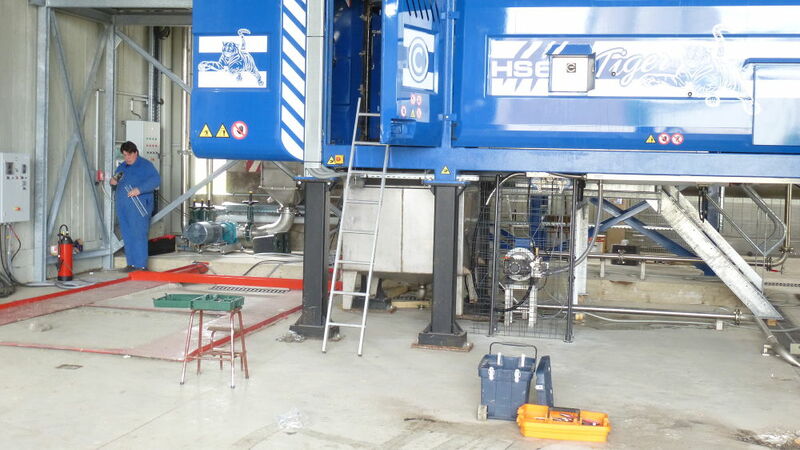 The TIGER crusher is equipped with a rotor which ejects the waste material against a separating grid. Packages are destroyed and their contents pass through the separation grid. This separation grid must be regularly cleaned to meet food standards. 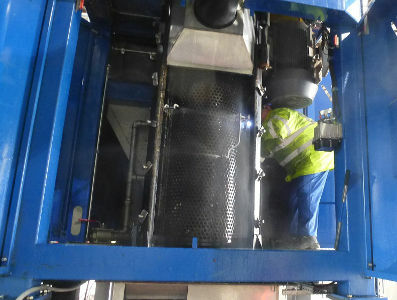 Veolia has called on AX SYSTEM to design, manufacture and install an in-use cleaning system in this TIGER crusher. The “soup” composed of bio waste is then upgraded by methanisation, while the packaging can be recycled. AX SYSTEM has developed a rotary cleaning system consisting of a 16kW high pressure motor pump unit (HPP pump) and a pair of 360 ° nozzle holder with a narrow design allowing insertion between the cage and the sheet metal exterior.